All white with a little sheer and spike detailing. Have a Happy Thanksgiving! I am looking forward to spending the next few days with family. See you next week! Fantastic look and loving the spiked clutch. how gorgeous are you!!! loving the winter white trend!!! and you are working it!!! <3 it all! I love it! Super sleek and chic!!! Brave lady! My kids would have be brown in about an hour in something like this! You look fab as always, and the clutch is my favorite part! I love your style so much and this has to be my fav outfit from you. 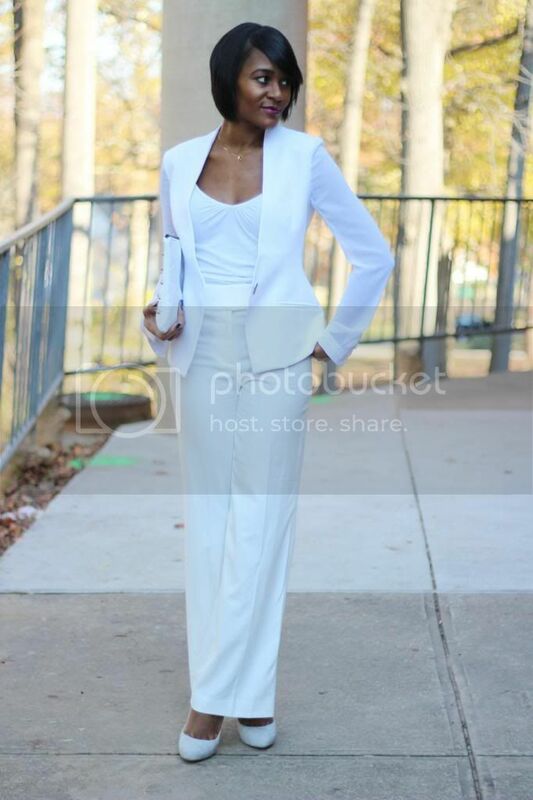 you look so chic in all white as always love your blazer. You always get it so right. I love this look! 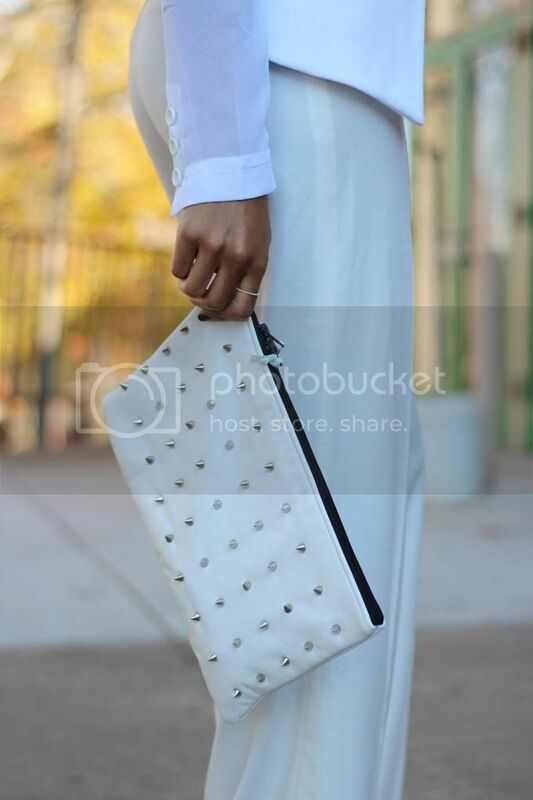 I love winter whites and this studded clutch is perfect! So chic!!! I love all white!